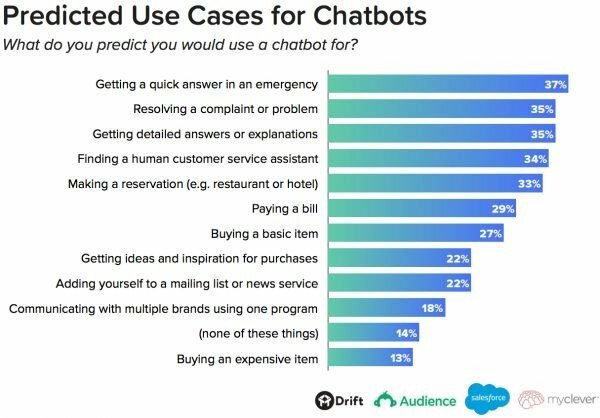 If you consider chatbots just another marketing fad or buzzword with no impact on revenue, we have some bad news for you. Chatbots are an integral part of modern customer experience. There are over 300,000 active chatbots on Facebook Messenger alone. But it's not all about Facebook. WhatsApp, Telegram, Viber, Twitter, or just regular website chatbots are growing in numbers by the minute. In this article, we'll talk about the impact that chatbots can have on your conversion rate optimization efforts. That statement has never as much literal significance as it does now. The variety of products and services today, and the resulting competition, is astonishing. The Internet has brought all competitors together in one "place"; now, you have to face all of them. In such an environment, getting the customer's attention and providing timely support is paramount to your success and your conversion rate metrics. That's where chatbots come in. They're available 24/7. Unless you have the cash to throw around, keeping a 24/7 live chat staff is a pretty costly endeavor. You often have less than a minute to engage a person and generate their interest. LeadConnect has found that your conversions can be almost 400% higher if you call a potential lead within the first minute. You can use a chatbot to achieve the same immediacy by triggering form fills. Or you could use a chatbot instead of form fills and forget about calls altogether. Chatbots can be used as a gateway to human interaction: Already, one-third of consumers are OK with using a chatbot before being transferred to a human operator. This allows you to set up the bot as a filtering system, where it responds to all of the basic questions, and only the users with the most pressing issues are escalated to real operators. 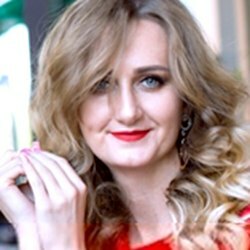 Maria Marinina is a digital marketing manager at Iflexion, a Web development company.